solution to the problem. The family was now confused and did not know what to do next. listened to them. This time too the moment the team entered the house the father again left. her health, freedom from the disease. and cried to Jesus to do onto him as he has done to his brother. Thus, he also received Christ. This took place in Avenor in Accra. 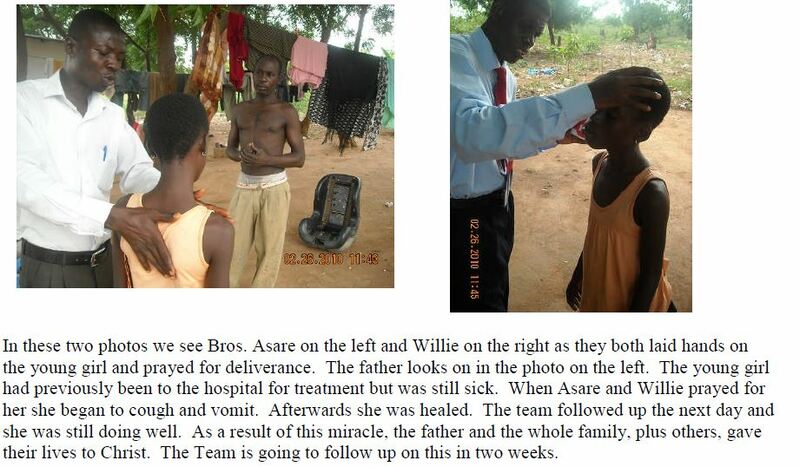 The team is going back to Kisseman next two weeks and need our usual prayers.